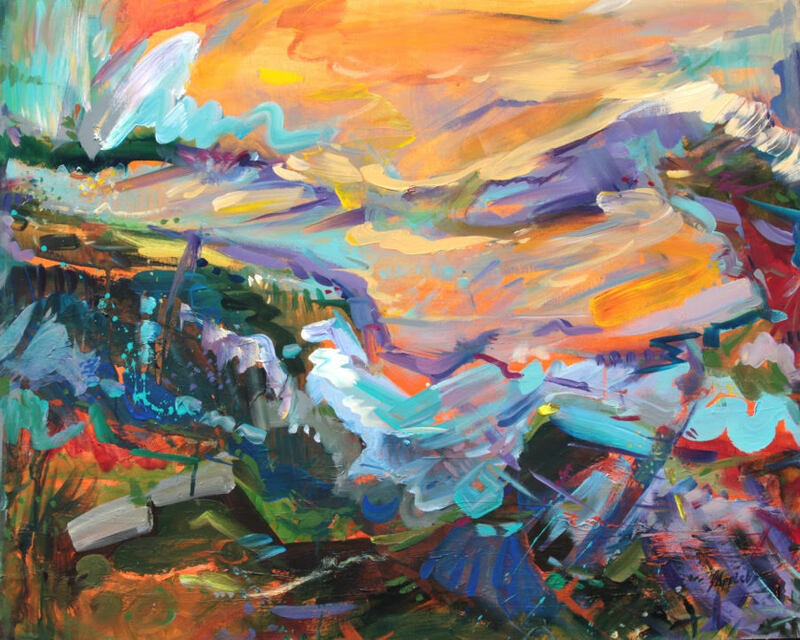 Get insights on how brushwork, various tools, and colour knowledge can help make a painting sing! 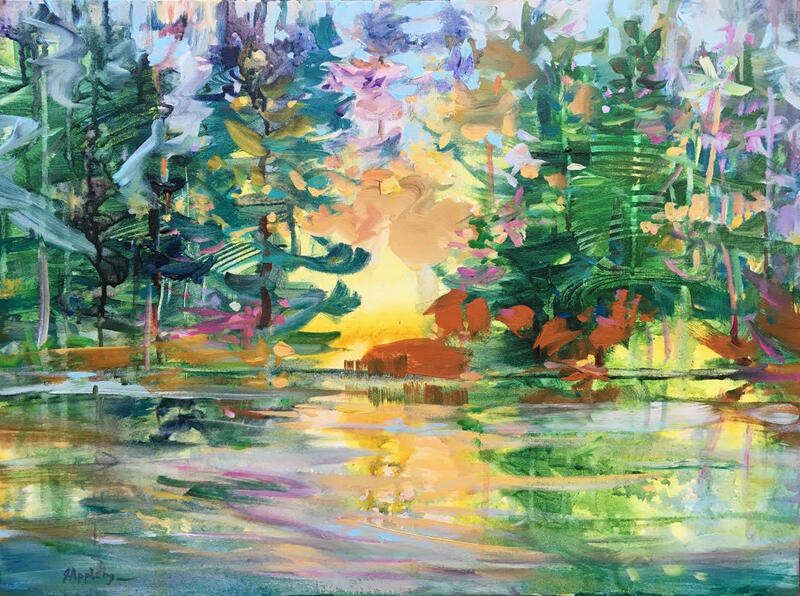 Jane will demonstrate her method of using acrylic paints on canvas to outline considerations of painting elements and principles while painting a dynamic composition on canvas. 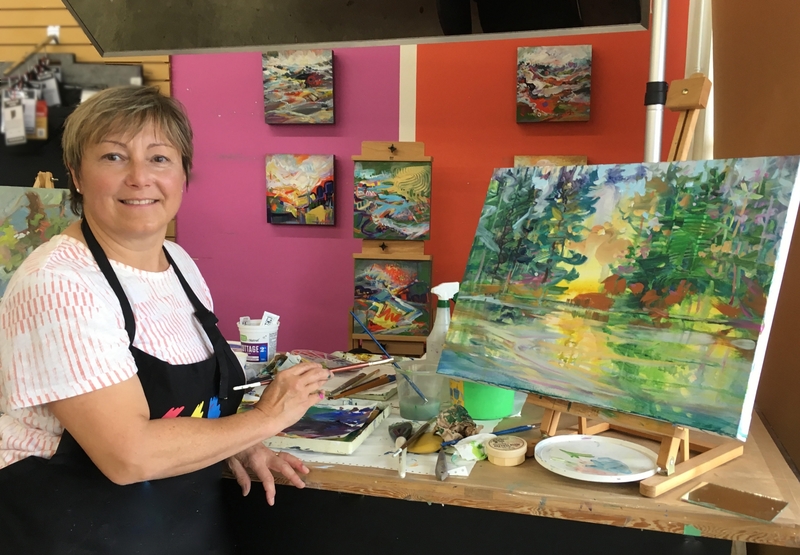 Jane will be covering a variety of techniques such as colour mixing, creating textures, and more! 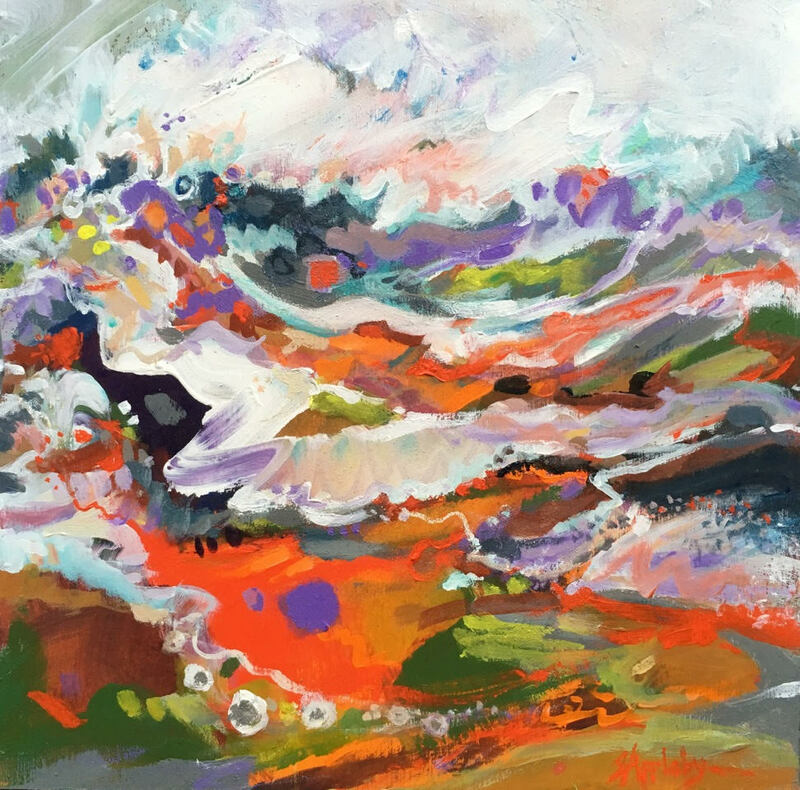 Jane Appleby is a passionate artist and enthusiastic instructor currently making a video series of painting in beautiful natural settings which inspire her impressionistic and abstract work. 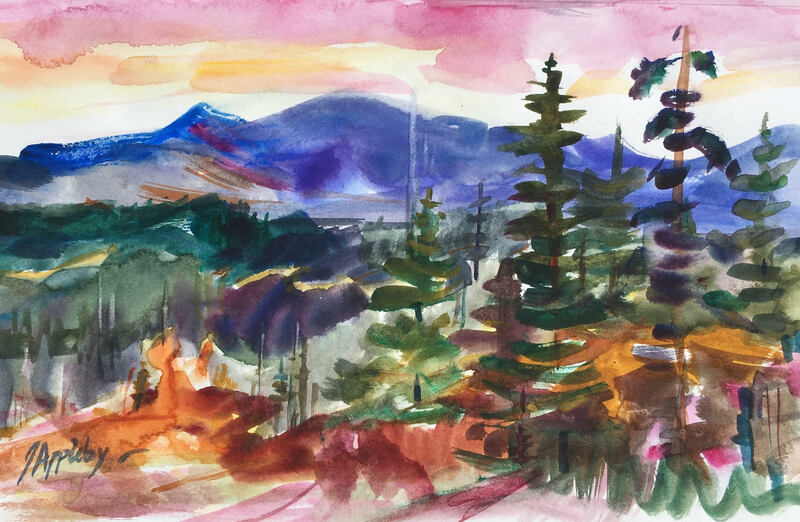 From a young age, Jane was encouraged by her architect father to draw and paint and she continues to embrace expressive and playful art making and appreciation. Jane has a BSC from Simon Fraser University as well as a fine arts certificate from Emily Carr University. 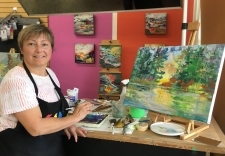 She instructs workshops at Place Des Art in Coquitlam and teaches art classes on Cunard Cruise Lines. 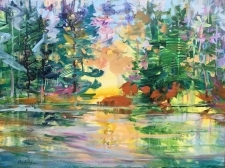 She has been known to paint large canvases quickly and with purpose implementing exercises such as 37 Stroke & 37 Minute Paintings and endeavours to “ Inspire the artist in all of us” with demonstrations in painting.